Everything I tasted in France was delicious and my nicoise salad was no exception. However, the ingredients were mixed together rather than separate and included things that I thought were a bit unusual for a traditional nicoise salad like chopped celery and red bell pepper. So as always, I recommend starting with a basic recipe and changing it so that it suits your tastes. I would have liked to add some kalamata olives to the nicoise salad I made at home, but sadly I didn't have any in the kitchen. Also, if you can find haricot verts (french green beans) I recommend it. They are longer and thinner than regular green beans, but more importantly they are more tender and I think they also taste better. I buy frozen ones at Trader Joe's and steam them. They are fantastic and even Pin Junkie Jr. who doesn't like vegetables prefers them over any other type of green beans. 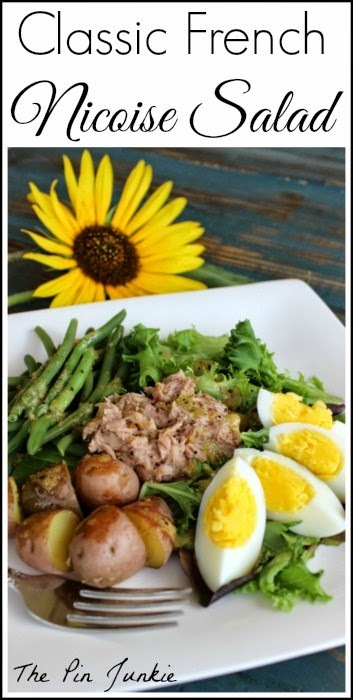 So here's my very basic nicoise salad recipe so you can enjoy it at home too. Rinse and dry mixed lettuce. Steam green beans until tender crisp. Slice potatoes and hard boiled egg. Place everything on a plate (or mix together if you'd like.) Pour dressing over salad. Season with coarse salt and pepper to taste. 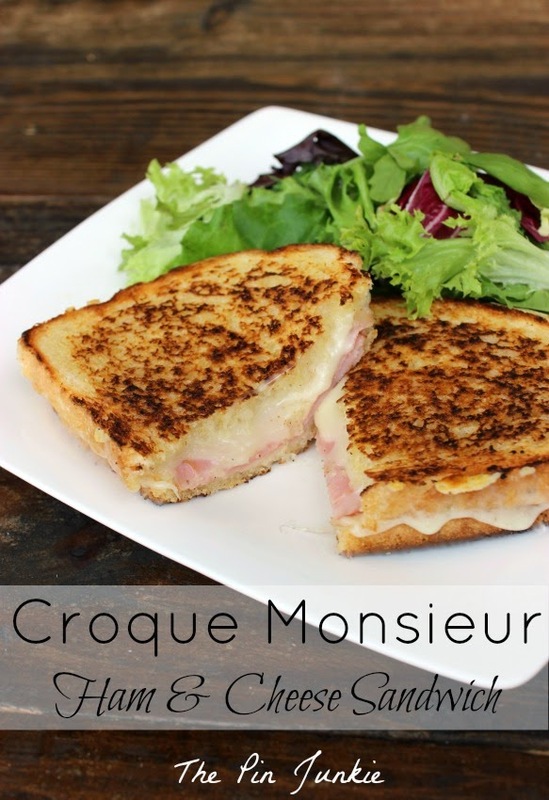 more great recipes like croque monsieur. This is the one salad I have never made. I think it's time to try it out! Yum! Looks tasty. I am visiting from the blog hop. Hope you are having a great week! I have never had this before...sounds yummy! Looks really good Bonnie! I'm pinning this to try myself. This looks so perfect! 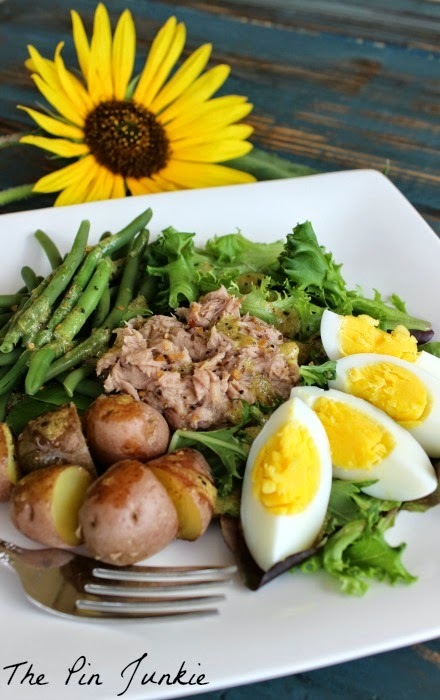 I've been on a tuna kick lately and a hard boiled egg is the perfect addition to the plate! Sounds delicious and healthy. Thanks for the recipe. G'day! Thanks for sharing at our #SayGdayParty! This looks very healthy indeed! I have never had a Nicoise salad. Looks good and happy to know that's how you pronounce it, just in case I ever go to France. lol! Thanks for sharing with SYC. Sounds delicious! I can't wait to try your recipe. Pinned Thanks for sharing @DearCreatives Inspiration Spotlight party!